Acclaimed photographer Lauren Greenfield is considered a preeminent chronicler of youth culture as a result of her groundbreaking projects Girl Culture and Fast Forward. She was named by American Photo as one of the 25 most influential photographers working today (May/June, 2003). Her work is in many major collections including the Art Institute of Chicago, Los Angeles County Museum of Art, the Getty Museum, the San Francisco Museum of Modern Art, the International Center of Photography, the Center for Creative Photography, the Museum of Fine Arts (Houston), the Smith College Museum of Art, the Harvard University Archive, the Clinton Library, and the French Ministry of Culture. She is represented by the Pace/MacGill Gallery in New York and the Fahey/Klein Gallery in Los Angeles. Greenfield’s first feature-length documentary film, THIN, aired on HBO, and is accompanied by a photography book of the same name (Chronicle Books, 2006). In this unflinching and incisive study, Greenfield embarks on an emotional journey through the Renfrew Center in Coconut Creek, Florida, a residential facility dedicated to the treatment of eating disorders. The feature-length documentary premiered at the Sundance Film Festival in 2006 and was nominated for an Emmy for Outstanding Direction in 2007. It won the Grierson Award for Best Documentary at the London Film Festival, and Grand Jury Prizes at the Independent Film Festival of Boston, the Newport International Film Festival, and the Jackson Hole Film Festival. The project was featured on The Today Show, Good Morning America, Nightline, and CNN and was excerpted in People Magazine. 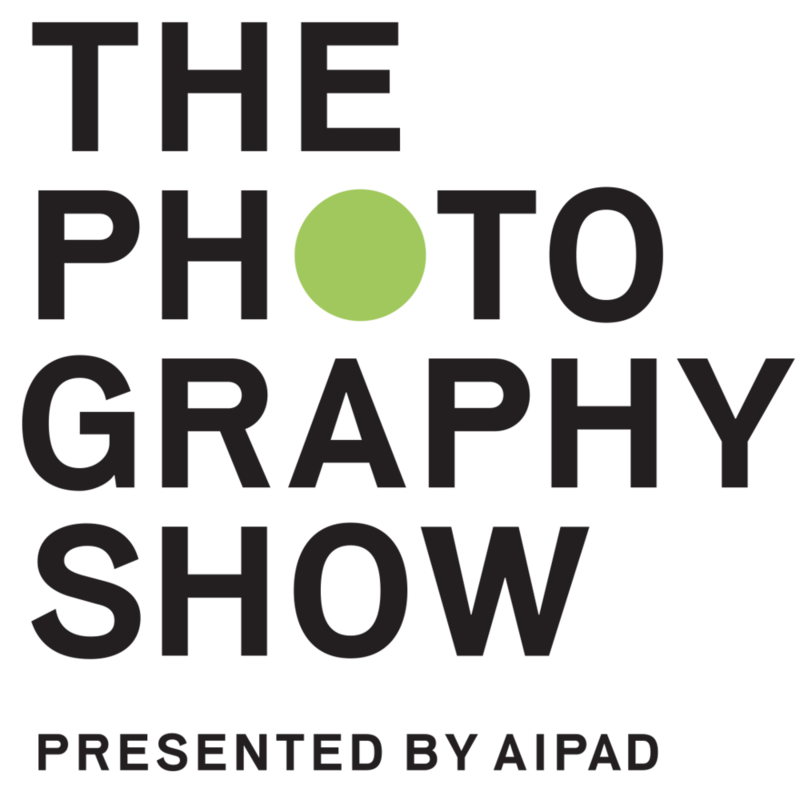 The Thin Book was honored by the 2007 International Photography Awards as well as the Photo District News Annual. THIN is also a traveling museum exhibition curated by Trudy Wilner Stack that debuted at The Women’s Museum in Dallas, Texas in February, 2007 and will travel through 2010. Girl Culture, Greenfield’s other major traveling exhibition, has been seen by over 750,000 people in more than twenty-five venues around the world and will continue to travel through 2010. Fast Forward and Girl Culture were both considered for development as feature films at Columbia Pictures and Universal Pictures. Greenfield's follow-up short film, "kids + money", premiered at the AFI Fest and won the Shorts Audience Award. "kids + money" was also selected into the Official Shorts Program at the Sundance Film Festival (January 2008). Since then, it has garnered many prestigious awards, including being selected as one of the top five nonfiction shorts in the world by Cinema Eye Honors 2009. The short also won the Michael Moore Award for Best Documentary Film at the 2008 Ann Arbor Film Festival, the Gold Plaque, Documentary:Social/Political from The Hugo Television Awards 2008, and Best Documentary Short at Kids First Film Festival 2008. The 32 minute film is a conversation with young people from diverse Los Angeles communities about the role of money in their lives. From rich to poor, Pacific Palisades to East L.A., kids address how they are shaped by a culture of consumerism. "kids+money" has been licensed to HBO in North American, and many leading broadcasters through the world. Greenfield graduated from Harvard in 1987 and started her career as an intern for National Geographic. Since 1991, her photographs have been regularly published in magazines including the New York Times Magazine, Time, Vanity Fair, People, National Geographic, Stern, The New Yorker, ELLE, Harper's, Harper's Bazaar, Marie Claire, The Guardian, and The Sunday Times Magazine. She has been the recipient of many awards, including the International Center for Photography Infinity Award, the Hasselblad Grant, the Community Awareness Award from the National Press Photographers, and the Moscow Biennial People’s Choice Award. Would you explain Visual Environment Studies to me? That’s the name of the art department at Harvard. It’s called Visual and Environmental Studies and it basically encompasses painting, sculpture, photography, filmmaking, and history of film, etc. What I did in that department was fairly specific: I did photography and filmmaking, and I also really focused on visual anthropology. I spent my third year with this program going around the world with some of my professors from my department and thirty students, traveling to nine countries in nine months, staying with families in each one. We studied at the film institutes, ethnographic institutes, and anthropology museums in each of those countries. That was my focus, but when I was back at Harvard, I did mostly photography and filmmaking. I studied with this photographer named Barbara Norfleet who started the Harvard Archive and did this book called All the Right People about the world of the WASPs in the Northeast, which really inspired me to do my first photo project about the French aristocracy. I recently showed The Queen of Versailles in Boston and Barbara Norfleet, who is eighty-six now, came. It was really fun to talk to her about that journey because in a way The Queen of Versailles was going back to some aspirational American aristocracy with money rather than heritage, and the French aristocracy had the heritage but no money. The thing about the title is that it got more layered with nuances and became more meaningful as the project went on. The movie really grew into the title because when I started it, Jackie was a beauty queen who was building Versailles and it was only at the end that these references to the French Revolution and Marie-Antoinette came about. How did you find the story for your movie? ness, generosity, and down-to-earth quality she had, even though she lived this life of stratospheric proportion. My teacher Barbara Norfleet started her All the Right People project because she started the Harvard Archive and found very few documentary photographs of rich people. Most documentation of rich people was either commissioned portraiture or society pictures, which tend to be flashed or have a blank wall, with no cultural context whatsoever. That is why Barbara started the book, and when I started The Queen of Versailles, I thought there would be a real cinema verité look at the lives of the very wealthy with the backdrop of building the biggest house in America. This would be something in contrast to the packaged, idealized, aspirational look at wealth that we often see in advertising or reality television. That’s how it started, and I was also interested in the upstairs-downstairs structure of their house that seemed like a microcosm for American society. They had this big, extended family filled with domestic help from all these different countries in South America, the Philippines, etc., and even family members that were not really rich. There was so much diversity in this single-family house! It started like this, but a year into filming they very suddenly had to put their house on the market because David’s business was severely affected by the crash and the bankers told him to do that in order to raise some cash. Even after the crash, I never thought that a family like that would be affected by it. It was clear that when they had to put their house on the market around 2010 that they had to give up their dream and look at the prospect of a very different life, involving eventual bankruptcy and foreclosure. At that point I realized that this was an allegory about the overreaching of America, a supersized version of what was happening to so many Americans. Around that time in my photography work, I had already documented foreclosed cities in California and the crash in Dubai, making this all eerily familiar with much larger proportions. At the beginning of the film in the theater, some people were laughing at the family’s most outrageous things, but by the end—at least for myself—I felt compassion for these people. Did you have that intention when you went in to do that or did it develop? I think that’s a through line in all of my work, and the thing with a film like The Queen of Versailles, or even my other one Thin, is that it’s such a long period of time and you get to know the people and have such an intimate access that having compassion and empathy comes out of that relationship. I showed the film a couple weeks ago at a screening where Anne Tucker, the curator of the Museum of Fine Arts at Houston, was there, and said that for her, the scene in the beginning where I’m photographing all of them is so important, as well as the way my voice carries through in some of the interviews, because my relationship with them is at the core of the film. I think it’s that kind of embedded access over time that is always what I’m doing, but in film it’s always been much deeper and much longer than in photography, which I always thought of as being very intimate. Compared to filmmaking, however, photography spends much less time with the subject. The thing about doing a family like David and Jackie is that they are so extreme and there are so many things in their lives that trigger certain stereotypes, but the fun thing about this, and the compelling piece of this and their story, is that nothing is what it seems. It’s constant revealing. How did you feel when you were shooting child pageants?I made a film called Beauty Culture last year, which has Eden Wood from Toddlers and Tiaras in it, and that then led me to be able to photograph the beauty pageants. In a way it was long overdue because my book Girl Culture explores how the body has become the primary expression of identity for girls and women. Girls learn at any early age that their beauty is a source of power and currency, and therefore how to use and manipulate that. I think that beauty pageants really speak to that and it is no coincidence that Jackie Siegel is a beauty queen. I’m fascinated by that because not only is she a beauty queen, but she is a beauty queen by design in the sense that she was an engineer who realized that her beauty could get her further in terms of where she wanted to go in life as opposed to her engineering degree. There’s a reputation that the mothers always push the daughters to do it, which is true, but sometimes the girls want to do it, too! They both get a sense of power from that because of the way beauty is held in our culture. I have two boys, but what I’ve heard from other mothers who have daughters is that often times on the street someone will say, “Oh, she is so cute” or “Oh, she’s so beautiful.” I think that’s something that has been of interest to me: how girls learn from an early age that their external is important and has value, and changes the way people interact with them. In a way, beauty pageants are not just about beauty pageants and whether they are good or bad, but really are a metaphor for the beauty contest that life is for women. That’s what my film Beauty Culture is about, looking at the precautious sexuality of childhood in little girls, which is best represented by the beauty pageant scene. In Beauty Culture, Eden Wood is wearing a showgirl outfit, which was very controversial. A lot of times in my work, I try to bring together these similarities and differences in a provocative way that provoke discussion about these issues. I photographed real showgirls and strippers in Las Vegas in depth, which was also part of Girl Culture, so to see this little girl wearing the same feathers and clothes is amazing. With all of your work that has do with girl culture and image, how do you see yourself? A lot of the work I’ve done, Fast Forward and Girl Culture in particular, really came out of my own childhood and my own teenage years. The passion and early research for those books came from my own experience. I’ve never had an eating disorder, I’ve never shopped excessively, but I have shopped for pleasure and I have dieted. I’ve done all of those things, but in a more measured way. I definitely draw on those experiences and insecurities for all of this work; it’s been very cathartic. I definitely thought like that in high school too, about what I was going to wear or what I should eat, and it doesn’t ever go away completely, but at this point in my life I have tons of work to do, which I love, and I have kids; I’m too busy to let my vanity take too much of my time. You have boys, and most of your work is focused around girls. Do you feel differently when you photograph boys than when you photograph girls? I just haven’t had as much experience with boys. My next book and show is about wealth, which includes both boys and girls, men and women. I am definitely getting more interested in boys because I see with my own kids that instead of getting better for girls, it’s getting worse for boys in terms of the commercialization of culture, which is making them constantly think of six packs and abdominal muscles, for example. My son buys those Axe products that advertise that boys who wear it will smell good and get pretty girls. This $350 billion beauty industry is helped by female insecurity. If you feel like you need these products to be beautiful or be okay or even just normal, then it’s really a great way to create a huge market. There’s no limit to what people want to sell, and I think boys and men are another frontier for selling products. I’m very interested in this, but I don’t have that much experience with it. I also may not have the same natural relationship with men that I do with women. The one thing that has really been at the core is my relationships with my subjects. I think that’s what you do as a documentarian: you build these relationships. I think I can do it with boys too, but I just might need that extra step, and I might need to see my kids grow up a little bit more in order to gain that experience. Is there any subject in any of your work that you’ve particularly identified with? I think there are different parts of me that identify with all of them. There were definitely certain qualities with Jackie, and even David, that I identified with, such as how I’m a workaholic. Shelley, one of the main characters of Thin, who was anorexic, used to say that work was my addiction. In a way, Thin, Queen of Versailles, Kids + Money, and Beauty Culture are all about addiction in some way or another. The society there speaks louder to what I’m trying to show than anywhere else. Los Angeles has been a really inspirational place. The big revelation I had doing that work was coming from this visual anthropology background. I started as an intern at National Geographic and then went to Mexico where I did my first project on the Maya in the highlands of the Chiapas. As I struggled with access to a very foreign culture, I started thinking about the culture I grew up in, and about how what comes out of Hollywood and Los Angeles in general, is influential both nationally and internationally. In this homogenization of culture that was coming from popular culture, television, music, and movies made me realize that my own hometown and its culture was worthy of documentation. L.A. has always been that place where I feel comfortable, yet in my work I always feel on that line between an insider and an outsider. However, I moved here when I was six and my parents are not from here, nor were they ever in the entertainment business. I also spent my tenth grade in France and then came back to a different high school. I really was an outsider in L.A. and when I went to the East Coast for college, I felt much more comfortable. I never expected to come back until my boyfriend, who is now my husband, wanted to move back, and when we did I went back to my high school and started making Fast Forward. Exploring this sense of not fitting in was cathartic! As my interests have become more about popular culture, the body, and consumerism, L.A. is really the capital of all that. The work for me has never been about Los Angeles, but really as a place of extremes, where you can see how the extreme manifestations of popular culture affect its population. You have to be in the extremes to see how it affects the mainstream. That’s how The Queen of Versailles works: it’s an extreme family with these larger-than-life realities; it doesn’t look like how anyone that we know lives. And yet, in this big version, it allows us to see ourselves because we know we’re not seeing ourselves, but their behavior mirrors what we all did and how we are all complicit in all this. Is Wealth going to be a book or a film, or both? Wealth is going to be a book and an exhibition in late 2013, but not a film. What advice do you have for emerging photographers or filmmakers? The advice I got in college that I like to give is “Follow your heart.” I’ve always pursued my own stories, and whatever I’ve done for money, I’ve never let that dictate the stories that I tell. I’ve tried to make a life where I could follow my own stories. You didn’t go to grad school. Do you recommend it to people? I think it’s fine if it’s a safe place to do your work. I didn’t do it, and I think the most important thing is doing your own projects and having a place where you can do that without having to make money. For example I did a project when I was a waitress. I just stayed around Harvard and was able to use their darkrooms. The thing about photography is that there isn’t one way to do it. At the end of the day, you just have to just do it. Oct 8 Sally Mann: "Upon Reflection"